We are specializing in the production of glass deep processing machine,to provide customers with a professional one-stop equipment solutions. sand blasting machine series, etc. With the improvement of technology and the enrichment of experience, our machiners are exported to various countries all over the world and have win high reputation from customers. Already got the CE European security certification. Follow the principle of people-oriented, customer first, integrity and win-win. 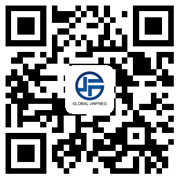 Warmly welcome all new and old customers to visit our company and negotiate business. In the future,we will strive to continuously improve and design first-class equipment to meet the needs of all customers and provide the best service. Make due contributions to the development of the industry.